Every year around October, I am asked by medical students: how do choose a residency training program? And as a family physician, the question is further distilled: how will I know that family medicine is right for me? There are so many considerations that go into making residency training program selection decisions. Everything from life stage, relationships, finances and lifestyle are thrown into the mix. Of course, one must also consider the medical content of the area or specialty. Each area of practice has its own ‘bread and butter’: patients and presentations which are so classic or emblematic of that area. To seriously consider that area of practice as a future career, one must have passion for the ‘bread and butter’. Chest pain and cardiology; strokes and neurology; kids and pediatrics. What then is the bread and butter of family medicine? Many people have offered answers: musculoskeletal; mental health; dermatology. My favourite of all these answers is ‘coughs and colds’. I would be surprised to find a medical trainee who looks with anticipation at a career which is focused on ‘coughs and colds’. What then is the bread and butter of family medicine? I think a clue lies in the name of the discipline itself. Family. My work is not described by a demographic or organ system. Rather, the bread and butter of family medicine is relationships. The College of Family Physicians of Canada describes the patient-physician relationship as so central to the role of the family physician that it is one of the ‘four principles’ of the discipline. I certainly see a good selection of musculoskeletal presentations. There is a lot of mental health. A solid grasp of dermatology is critical. But I also see a lot of coughs and colds. Lots and lots. I enjoy all of these visits and all of these presentations, because at the core of it is my relationship with the patient which has been formed and solidified over years. The patient attends for issues both acute and chronic. I see them when they are sick and when they are well. I am passionate about my work because the bread and butter of it is relationships. 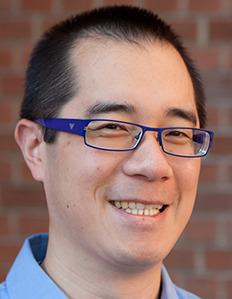 Fok-Han is an Associate Professor with the Faculty of Medicine at the University of Toronto. He is a family physician practicing at St. Michael's Hospital in Toronto. He is also the Director of the Health in Community curriculum for the MD program and the Associate Program Director for the University of Toronto family medicine residency.